Modi congratulated Imran Khan for his party emerging as the largest political party in the National Assembly of Pakistan in the recent elections. 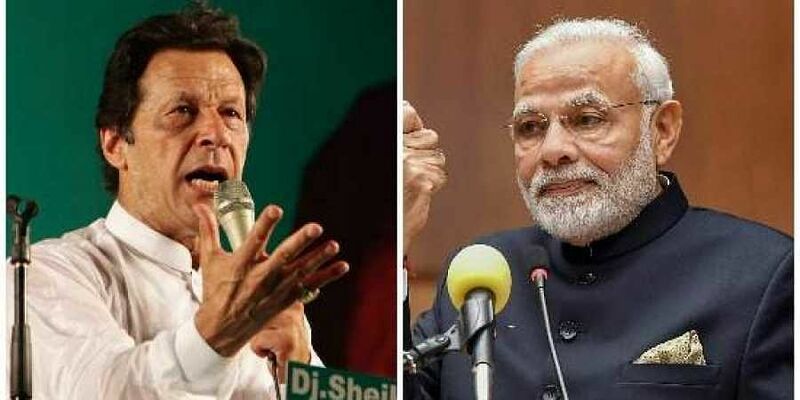 NEW DELHI: Prime Minister Narendra Modi today spoke to Imran Khan, Chairperson of Pakistan Tehreek-e-Insaf, and congratulated him for his party emerging as the largest political party in the National Assembly of Pakistan in the recent elections. He expressed hope that democracy will take deeper roots in Pakistan, a PMO statement said. The prime minister also reiterated his vision of peace and development in the entire neighbourhood. Meanwhile, in Islamabad, the PTI said in a statement that Khan thanked Prime Minister Modi for his good wishes. "The solution to conflicts should be found through dialogue," Khan was quoted as saying in the statement. Khan, during his conversation with Modi, also suggested that the governments of Pakistan and India "should devise a joint strategy to free their people from the trap of poverty". He also said that "war and bloodshed instead of resolving conflicts give birth to tragedies". According to media reports, Khan had said he will take oath as the prime minister on August 11. Although the PTI has emerged as the single largest party in the National Assembly in the July 25 polls, it is short of numbers to form its government independently.